We are still under construction! The group has some new and very keen executive members who are helping update the website. The look and content should be more useful and the blog will be updated regularly. Stay tuned! 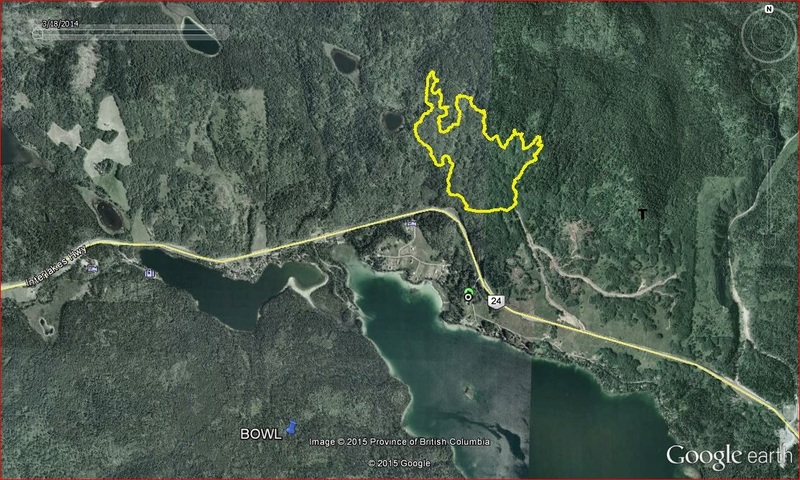 Although not yet 100% confirmed, all evidence points to a planned aspen harvest on the hillside west of the Telus tower down to Highway 24 by Norbord within a year. This particular cut block was identified in a consolidated forestry plan created in 2002, then by Ainsworth. Aspen is harvested for the OSB plant in 100 Mile House. The harvesting process has begun as the surveyor’s flagging was put up during the week of Dec 7 when it was discovered by a local hiker. The flagged “block boundary” was chosen as the ladies’ Sunday hike last week to gain more information about its size and location and the GPS route the ladies recorded on their trek is shown below in yellow. The perimeter totals about 6 kilometers and the logging area appears to be just larger than the area of Little Lac des Roches. In keeping with the Cariboo Chilcotin Land Use Plan, the visual impact of the block seems minimal from the McDonald Rest Stop. In fact, it appears that few lake residences will have a line of site to most of the cut block. It will however, be very noticeable from the lake and in full view of highway travellers, particularly as they crest the west hill (known as Angus Hill), eastbound from Bridge Lake. Local outdoor enthusiasts will realize, this block covers several kilometers of well-used game, stock, and ORV trails which will likely be inaccessible during the harvesting project. While there has yet to be an application for a cutting permit or access road permit, evidently that process can move fairly quickly. Newly flagged aspen cut block above Lac des Roches. Beware, the official ice-on date for big Lac des Roches is December 20th. While there was ice covering the all the water west of Eagle Island, all the way to Access #7, there was still open water across from Peaceful Cove at the east end prior to Dec 20th. The ice thickens fairly quickly but the natural springs will contribute to hundreds of thin spots until there is a build-up of ice from below, more like a foot deep. A resident measured 4 1/2 inches of ice in front of his cabin on Boultbee Road on December 20. Little Lac des Roches on the other hand, has supported ice fishers for the last month and was a play ground for snowmobiles just today, December 22. The ice will likely be safe for play between Christmas and New Year’s, but as always, users need to use extreme caution this early in the ice development process and …”if in doubt, don’t go out”. Open water could be seen Dec 15 from Access #7. Residents may recall the petition in our summer newsletter asking for a public meeting to learn about the intentions of the Interlakes Economic Association as there were rumours that they were initiating a process to have the Interlakes area incorporated as a Municipality separate from the Area L Regional District of the CRD. The group was stopped at a point when they requested a study of incorporation be done.The current status is…George Abbott, retired MLA and Minister was hired to study the community’s feelings about local governance. Mr. Abbott held private interviews with community groups (including Lac des Roches Watershed Society) and individuals and held a public forum on Oct.14 at the Interlakes Community Hall. There were well over 100 people in attendance. On Dec 16, he did a second day of interviews and a public meeting to present and discuss his interim report of findings and recommendations. There were about 50 attendees. While the report addressed many governance issues, it was clearly stated that the lack of industry base, large geographical area, length of time required and number of resources required to complete an incorporation study did not warrant further pursuit. Residents, or more appropriately, tax payers in our area might find his analyses and recommendations quite enlightening. From both the report tables and the lively discussion about services and funding at the December meeting it has been revealed that there may be many areas where inequalities between what we pay as our share of property taxes versus the services we receive. exist and a review of tax calculations are warranted. His final report will be completed by December 31. It will likely be a public document posted on the CRD website. Residents are encouraged to review the website (www.cariboord.bc.ca) for this and other information that they may not otherwise receive, particularly if they are “seasonal”. 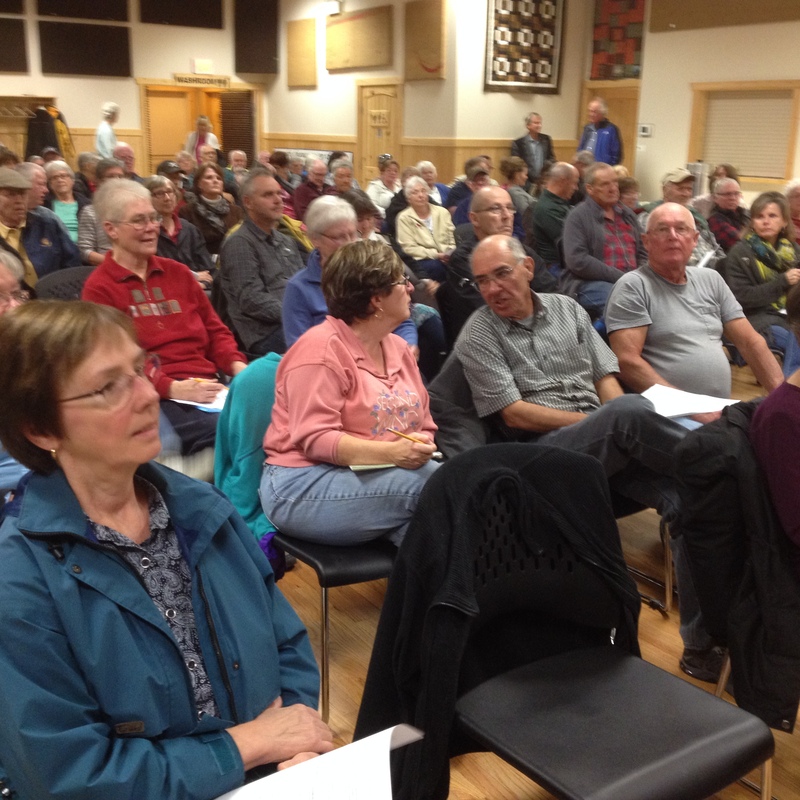 At least a dozen Lac des Roches residents attended the Oct. 14 mtg. Like most of western Canada, we too are seeing the effects of crazy weather. 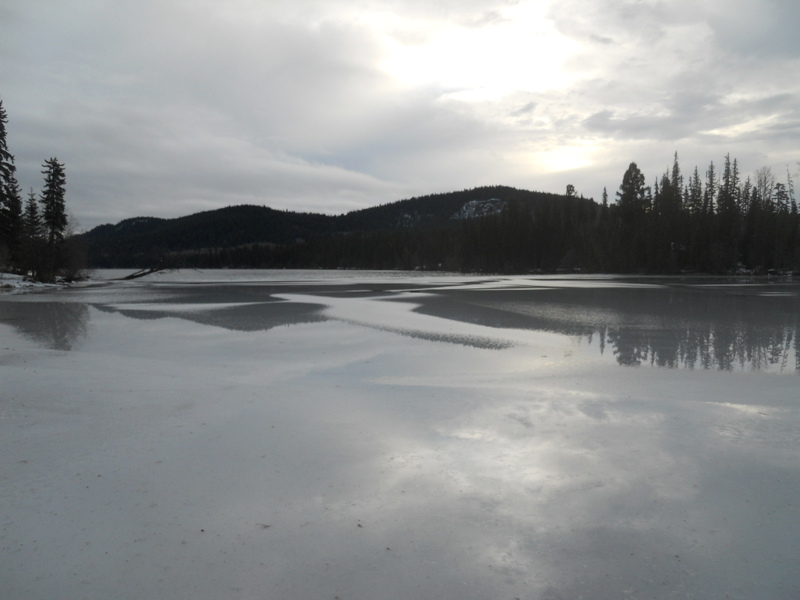 The cold snap in November froze all of the lakes in the area…except big Lac des Roches…again. Shallow and protected bays, and of course the channel to Little Lac des Roches froze in November, but not the east or west main lake. While there were a few nights where large sheets of clear ice developed, they were quickly gone with the help of strong winds the next day. Like last year, the significant wind storms took its toll on trees everywhere. The forest was particularly hard hit as there are so many dead or distressed trees out there. The stock and game trails in some areas are pretty well impassable for the animals although the hiking ladies seem to find their way through even the most tangled messes, but only once. Their trail rating system goes to 5 for “we won’t go there again”. For the last week, temperatures are more normal and the reprieve from the extreme winds have allowed the big lake to finally freeze over and the snow has accumulated enough in the hills to make sledding possible on established trails.